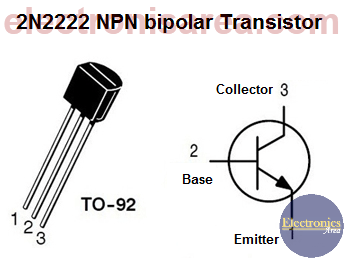 This Logic Probe using two transistors is a very simple circuit that can be implemented using two NPN bipolar transistors (T1, T2) in a Darlington configuration. 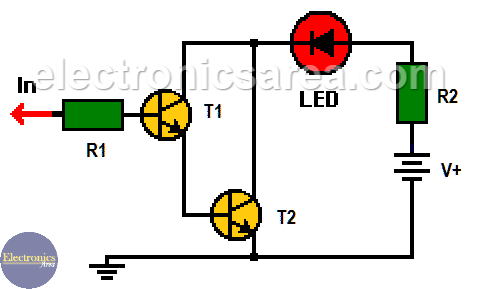 This circuit will turn on the LED when there is a logical “1” on its input and turn it off when there is a logical “0”. A 5 volts voltage source is used, but it can be the same voltage source that feeds the logic circuit under test. The logic probe will require very little current from the circuit under test due to the 1 megaohm resistor (R1) in series with the tip and high impedance of the two transistors in Darlington connection. The use of a Darlington configuration allows a small input current to turn on the LED with no problem. Beta (b) of the 2N2222a transistor is at least 100, which means that the two transistors in the Darlington configuration will have a gain of 100 x 100 = 10,000 minimum. 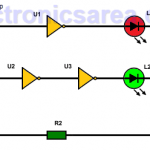 This circuit, due to its few elements, can be implemented in an elongated printed circuit board in the form of a pen for easy use. 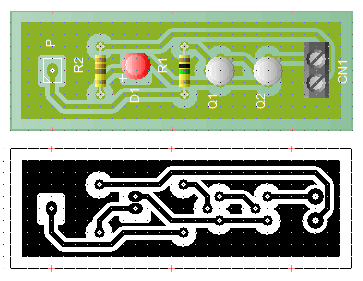 The following images show a suggested circuit board to implement this logic probe and a diagram with an estimated appearance of the final result. The printed circuit board must be fitted with a metalic tip connected to point P to serve as a test lead. The power cables are connected to the CN1 terminal of the printed circuit board. Each of them (one red for the positive terminal and one black for the negative negative terminal), with an crocodile clips to connect the power source of the circuit under test or to connect an external voltage source. 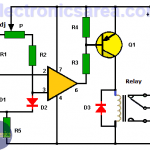 How to get a 12 volt Power Supply using 7805 regulator? 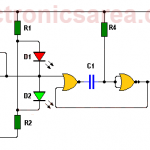 How to Extend the Voltage Range of an Analog Multimeter?